Expedition Portal is the go-to website for all things overlanding. It is the online companion to their publication Overland Journal. Their editor recently published an article covering what he believes are the Top 10 Used Overland Vehicles, and the Jeep Wrangler JK ranks third on the list. 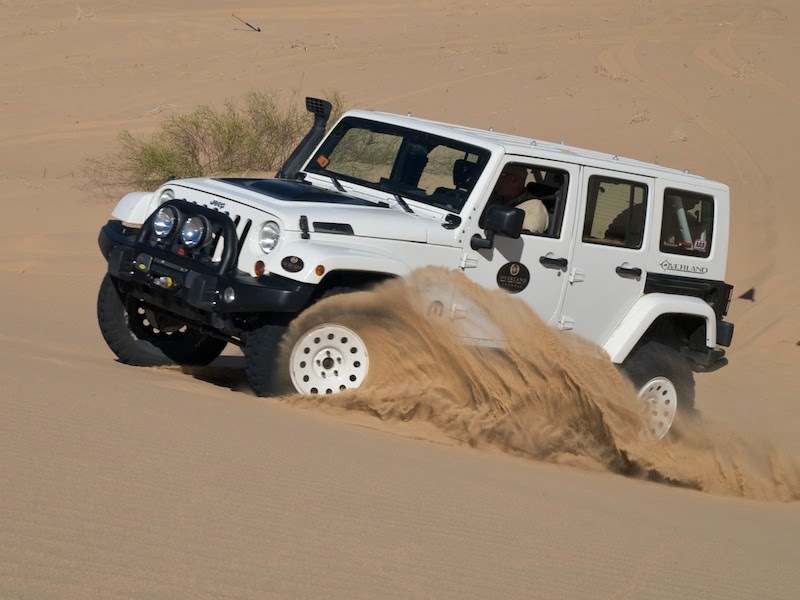 The Jeep Wrangler Unlimited JK was a game-changer for Jeep as an overland vehicle. These vehicles have proven to be reliable, supremely capable and easily modifiable. More so than any other vehicle on this list, you could take a stock Jeep Rubicon Unlimited and drive nearly any road, anywhere in the world, without modification. From the Rubicon Trail to the jungles in Guatemala (I have done both with them). They are simple, robust and have considerable interior storage space. They are also available on most continents now, including South America, Australia and Africa, so service infrastructure is improving. However, the Jeep Wrangler is a bit harsh and unrefined, so driver fatigue will be higher and NVH will take its toll on longer road sections. Summary: Jeep surprised us all with this runaway hit. It is the real deal. Editor’s Field Experience: Editor has owned or long-term tested a half-dozen variants of the JK Unlimited. One was owned for two years and driven the length of Mexico and Central America to the Darien Gap. Current fleet includes the long-term test Overland JK. Overland Journal had an 18 month long-term test JK. We have yet to experience a single warranty claim with any of these vehicles. The Jeep JK is bettered by only the 100-Series Toyota Land Cruiser and the Toyota Tacoma due to their broader use in obscure countries and their higher payload and cargo capacities. Given those two vehicles' intended purpose as overlanding vehicles in contrast to the Jeep's intended focus on rockcrawling capability, this assessment makes perfect sense. But as Jeep has expanded the capabilities of their signature open-top vehicle to include the long-wheelbase 4-door Unlimited and much-improved suspension, drivetrain, and interior comfort, the Wrangler has become much more suited to overlanding in its current iteration. As prices for used models continue to drop, the overlanding community will further refine this platform. Be sure to read the rest of the article, as it provides some helpful insight into what makes the Jeep Wrangler and other world-class vehicles so appreciated by overlanders.